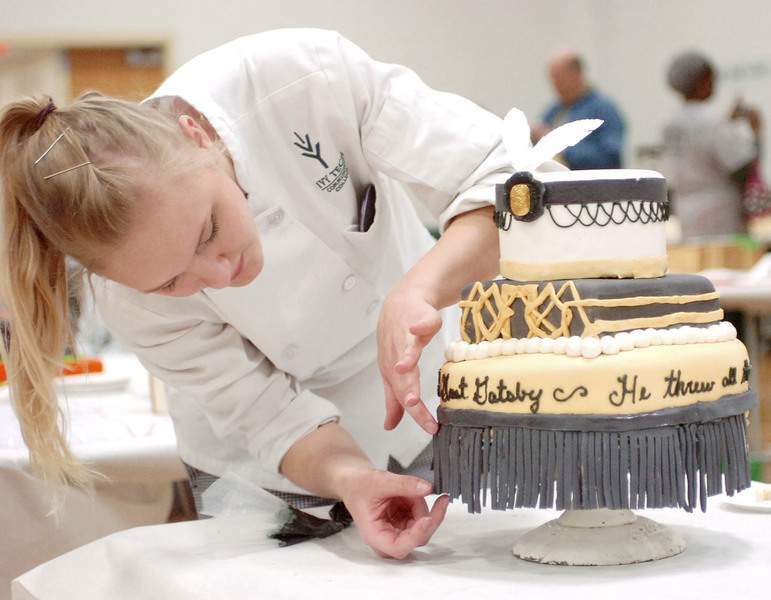 Photos by Samuel Hoffman | The Journal Gazette ABOVE: Adrienne Cottrell makes a quick adjustment to her cake inspired by “The Great Gatsby” at the 10th annual Edible Book Festival on Monday at Ivy Tech Community College Northeast’s Student Life Center. 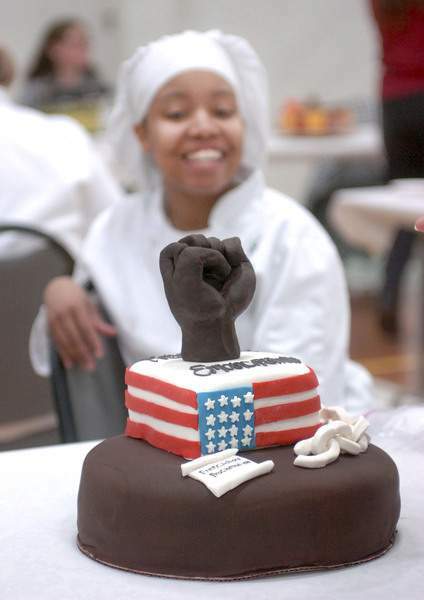 Ariell Morrison, an Ivy Tech senior studying baking and pastry, shows off her dark chocolate and white cake that was inspired by the Emancipation Proclamation. The festival featured 20 culinary students and a few outside bakeries competing in a bake-off in which the cakes and sweets were based on famous literature or document.